For medical purposes, the eyelids are considered four areas. Two upper eyelids and two lower eyelids. 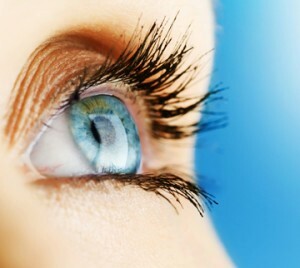 We can correct the lower eyelids or the upper eyelids or all four eyelids at once. When we correct only the upper eyelids this surgery is called and “Upper Blepharoplasty.” When we correct only the lower eyelids this surgery is called a “Lower Blepharoplasty.” When we correct both the upper and lower eyelids the surgery is simply called a “Blepharoplasty”, or simply eyelid enhancement. Blepharoplasty surgery can also be performed with any other cosmetic surgery such as forehead lift (eyebrow lift), facelift or rhinoplasty. Because the forehead affects the eyebrows and the eyebrows affect the upper eyelids, Blepharoplasty and Forehead lifts are frequently associated with each other. Therefore it is sometimes helpful to read the section in this website on Forehead lifts and facelifts. The eyes have often been called the “windows to the soul.” The eyes are typically the first feature that a person sees when looking at your face. Beautiful eyes are a very potent sign of youth and beauty. When your eyes are baggy or puffy a patient appears older or tired. Sagginess or wrinkles around the eyes are usually the first sign of aging, often beginning in the early thirties. Sometimes this condition can be hereditary and occur in patients as young as their twenties. Frequently patients complain that people tell them they look tired all of the time. The blepharoplasty surgery is designed to remove the excess skin and bags that occur on the eyelids. By removing the extra skin and correcting the bulges, the eyes can look younger and brighter, giving the patient a more youthful and less tired looking appearance. Sometimes the bags or excess skin contribute to dark circles under the eyes and correction of the bags and excess skin can improve this problem also. However, it is uncommon for blepharoplasty surgery to completely correct the dark circles under the eyes and additional treatments will be needed if a patient’s main complaint is dark circles under his or her eyes. Sometimes as we age the upper eyelid skin can literally sag over the eyelashes and occlude our field of vision. When this happens, blepharoplasty surgery will also improve a patient’s visual fields. Also in patients who have very lax or loose eyelids the lower eyelid may sag exposing the white part of the eye underneath the Iris or colored part of the eye. This is called scleral show. Another problem with a very loose lower eyelid is corneal exposure or excessive tearing and redness of the eye. Eyelid surgery that tightens up the lower eyelid and removes the extra skin can help with these conditions. Sometimes saggy eyelid skin is due to sagging brow or forehead skin. A blepharoplasty (eyelid lift), cannot correct this problem without being combined with a forehead lift. Also blepharoplasty (eyelid lift), cannot correct eyelid puffiness that is due to edema or fluid retention such as occurs with certain allergic conditions. Puffiness or bags extending past the orbit (past the bony rim of the eye socket), onto the cheekbones are not corrected with eyelid surgery. This would require other more extensive procedures such as a midface lift. Eyelid enhancement surgery (blepharoplasty) can improve dark circles under the eyes if they are due to shadows from puffy or baggy eyelids, but this surgery cannot correct dark circles under that eyes that are due to pigment problems such as occurs in East Indians, African Americans, Asians or darkness caused by venous congestion. Sometime there is a small bulge located in the upper outer part of the upper eyelid. This is caused by a drooping lacrimal sac (this is the tear gland). This bulge cannot be correct with blepharoplasty (eyelid lift) surgery. Sometimes drooping brows and forehead skin can press down on the eyelids and give them an appearance of sagginess. If this is the case, a patient my need a forehead lift or browlift rather than an upper eyelid lift (blepharoplasty). Sometimes a patient has both saggy eyelids and drooping brows. If this is the case, the patient may need both an upper blepharoplasty (eyelid lift) and a browlift (forehead lift). These can be done separately or together. During your consultation, Dr. Lane Smith will help you decide on which procedure would work best for you, eyelid lift, forehead lift or both. The eyes are a small and therefore blepharoplasty surgery (eyelid enhancement) can be performed with just local anesthesia, under I.V. sedation or general anesthesia. The surgery can be divided into two parts, surgery on the upper eyelids (upper blepharoplasty) and surgery on the lower eyelids (lower Blepharoplasty) or both eyelids (eyelid enhancement surgery). They can be done separately or together or combined with other surgeries such as a facelift or browlift (forehead lift). Upper blepharoplasty (upper eyelid surgery) is performed by making an elliptical excision of upper eyelid skin in the natural crease of the upper eyelid. The orbital fascia is opened and a small pocket of fat near the eyelid corner is identified. This fat pocket can cause a bulge in the inner part of the upper eyelid. If there is extra fat present here, it is removed. The eyelid skin is closed with a very fine suture that hides beneath the skin. The final scar lies in the natural eyelid crease and will not be noticeable after eyelid surgery. Lower blepharoplasty (lower eyelid surgery) is a little more complicated than upper blepharoplasty surgery. Sometimes when there is just bulging eyelid fat, we can perform the surgery with no incisions in the skin. This is called the “Transconjunctival Approach” or Transconjunctival blepharoplasty. This is best for younger patients with no extra skin and only puffy lower eyelids. This is common in African-American and Asian Patients. Most commonly a patient needing lower eyelid enhancement surgery (lower blepharoplasty) has excess lower eyelid skin. An incision is made just under the eyelash and extends just slightly past the eyelashes into a crease of wrinkle. The skin and eyelid muscle are lifted up. In the lower eyelid there are three fat pockets. These fat pockets cause the bulging and bags that are seen in the lower eyelid. The excess fat from each of these pockets can be carefully removed or repositioned to fill the hollows around the eyes. The skin muscle flap is carefully laid back down and the excess trimmed thereby removing the excess lower eyelid skin and tightening the eyelid. Sometimes the corner of the eyelid will need to be lifted. The procedure is called a canthalplasty. This is usually needed in more elderly patients. The final scar after lower eyelid enhancement surgery (lower eyelid lift) is well hidden just below the lower eyelashes and is usually not visible. Because it is a very small area, there is usually minimal pain involved. The bruising can also be very minimal, especially if ice is used in the first 48 hours as directed after eyelid surgery. The bruising and swelling generally reach a peak on the second to fourth day after blepharoplasty (eyelid lift surgery). A patient can be up and around the day of surgery. The bruising after eyelid lift surgery can usually be completely hidden by wearing sunglasses or tinted glasses. A patient may return to work 2 to 3 days after blepharoplasty surgery if they do not mind returning to work with some bruising and swelling. The sutures are usually removed 5 to 8 days after eyelid enhancement surgery. If a patient wishes to return to work with no bruising at all, it is usually possible to do so 6 to 10 days after surgery. Mild exercise can be performed by 10 days after blepharoplasty surgery. A patient may return to vigorous exercise 2 to 3 weeks after eyelid lift surgery (blepharoplasty) depending on how the patient feels. Blepharoplasty (eyelid surgery) is one of the most common cosmetic surgery procedures performed in Las Vegas and Henderson areas. Dr. Lane Smith, a board-certified surgeon, performs blepharoplasty surgery (eyelid lift) virtually every week. Dr. Smith has performed hundreds of these operations and his reputation, experience, and excellent results speak for themselves. The results of any type of plastic surgical procedure depend a lot on the surgeon. It is nice to know that Las Vegas has one of the best plastic surgeons in the entire country. * People come from all over Las Vegas, Henderson, Nevada, Utah, California and the world to have Dr. Lane Smith perform surgery on them. If you are wondering if you are a candidate for blepharoplasty (eyelid enhancement surgery) or if another surgery such as a forehead lift, browlift or facelift is a better surgery for you, it is best to make an appointment with Dr. Smith. Appointments can be made by calling Smith Plastic Surgery at (702) 838-2455. For patients that live a long distance from the Las Vegas and Henderson area, phone consultations or email consultations are available.